However, to focus on the fact that partnerships are almost never non-exclusive would be to sell short Alcatel-Lucent’s endeavor with Accenture (and other partners), and potentially miss the point of Alcatel-Lucent’s push into the extra-large enterprise (XLE) market in general. Of course, tapping those customers and growing those revenues is easier said than done when few outside of telecom know who you are. 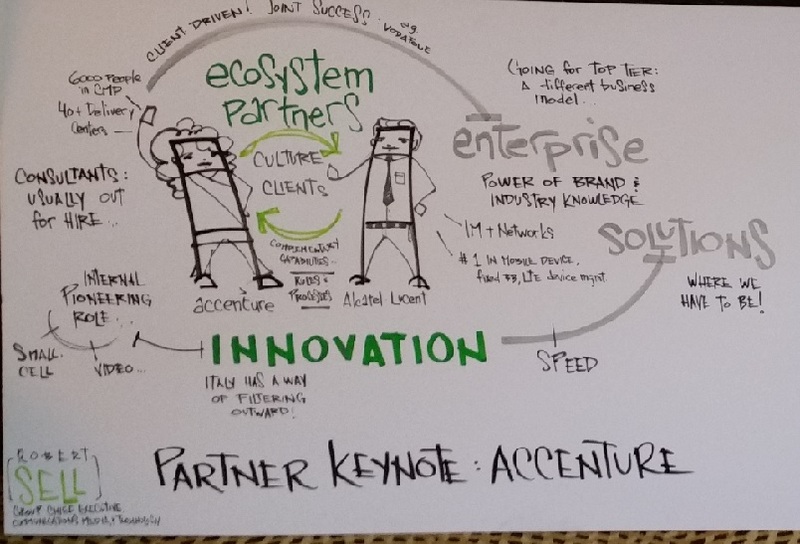 Here’s where Accenture comes in. IT networking shops across all the aforementioned verticals know who Accenture is. Accenture can get Alcatel-Lucent invited to the parties… and it can do the SI work on all that networking gear that these companies need. So, yes, while Accenture will work with other vendors, and Alcatel-Lucent will work with other IT consultancies, Alcatel-Lucent and Accenture will have shared business units within each company. Per Alcatel-Lucent, this will streamline important things such as pricing, procurement, fulfillment, and other processes that can bog less structured partnerships down. That means efficiencies that other, less committed, partnerships might not be able to affect. It will also give both Alcatel-Lucent and Accenture a valid claim to a “best-of-breed ecosystem,” which in layman’s terms means, “Everyone at this table knows what they are talking about.” According to the survey research that we do, sourcing shops at big companies like that type of thing and the name recognition Accenture brings (not to mention “best of breed” messaging) could position this as a solid alternative to buying your way into IT integration. Call it the virtue of promiscuity. Previous postAlcatel-Lucent Technology Symposium: Does Chapter 2 of the Shift Plan Swap Pillars Before the Previous Ones Are Set in Stone?